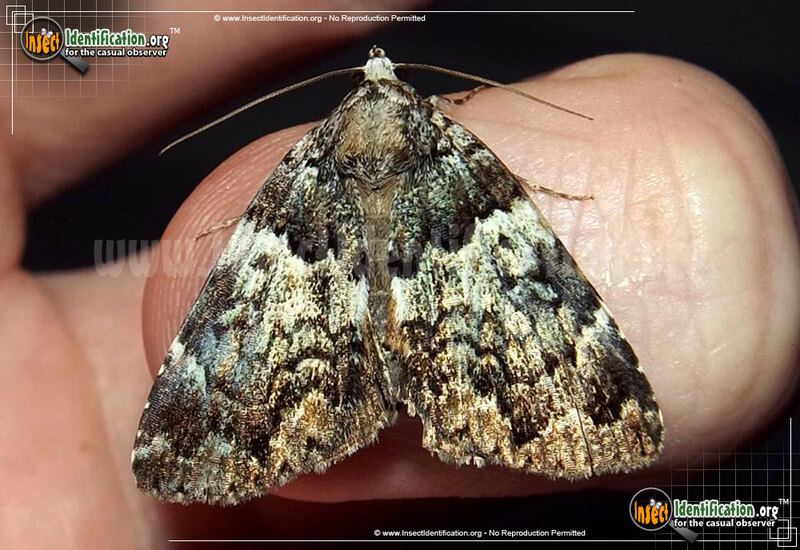 Detailing the physical features, habits, territorial reach and other identifying qualities of the False Underwing Moth. 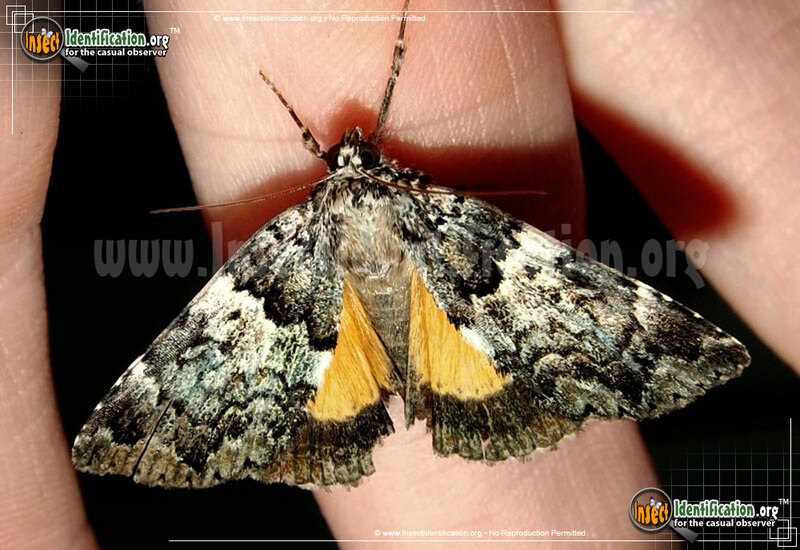 A bright flash of orange on the hindwings of the False Underwing is usually hidden under its larger forewings. Unlike most Underwings, the False Underwing has only a single, wide black band on its orange-yellow hindwings. This flash of color is best seen when the moth is at rest and flattens its wings. The abdomen also has hints of this yellow color on the otherwise gray body. The forewings of this species can be highly varied in shade and hue, but most have dark brown and/or black coloring near the head with a lighter middle area that shows off a black dot on each wing. A black outline in the shape of a bean sits just below the dot. Below these marks, the forewing darkens again in waves of brown and black. All wings have a checkered fringe. Larvae feed on the leaves of black gum, hickory, and walnut trees. They are long, slender and brown, blending in with the woody branches they move along. Look for adults from spring through the beginning of autumn in areas near woodlands and deciduous forests.